Mealy apples, sprouted potatoes, and wilted celery, oh my! These may sound like candidates for the compost bin, but don’t toss them out just yet. Even if they aren’t fit for consumption, some fruits and veggies might be good for making prints! For younger children, this activity provides ample opportunity to practice color, fruit, and vegetable identification and hone their gross-motor skills. Older children may be interested to know that different foods come from different parts of the plant. Here is the recipe for a fun and educational activity that will foster creativity in children of all ages. Select a variety of fruits and vegetables for different sizes, shapes, and textures or for the plant part we eat. 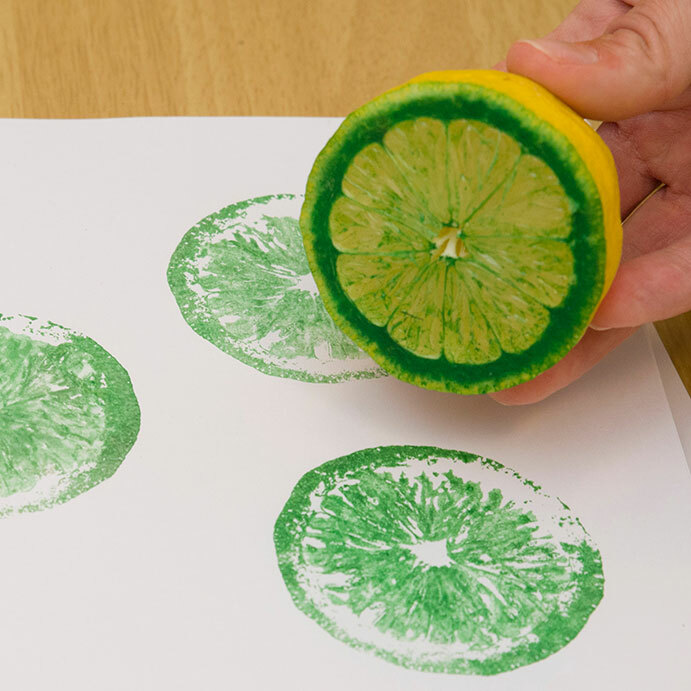 Using a large kitchen knife and cutting surface, cut the fruit and vegetables different ways to get different effects during stamping. 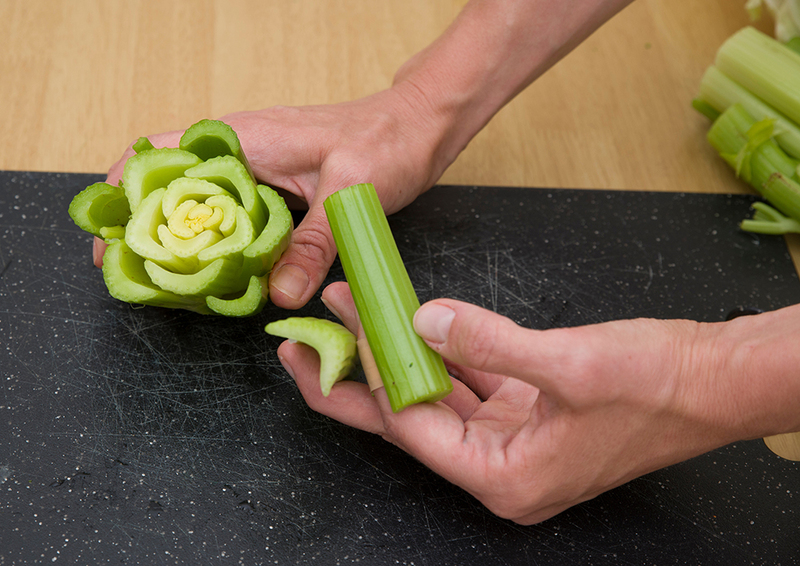 Celery is the most versatile; you can create rosette, crescent moons, and lines from celery. 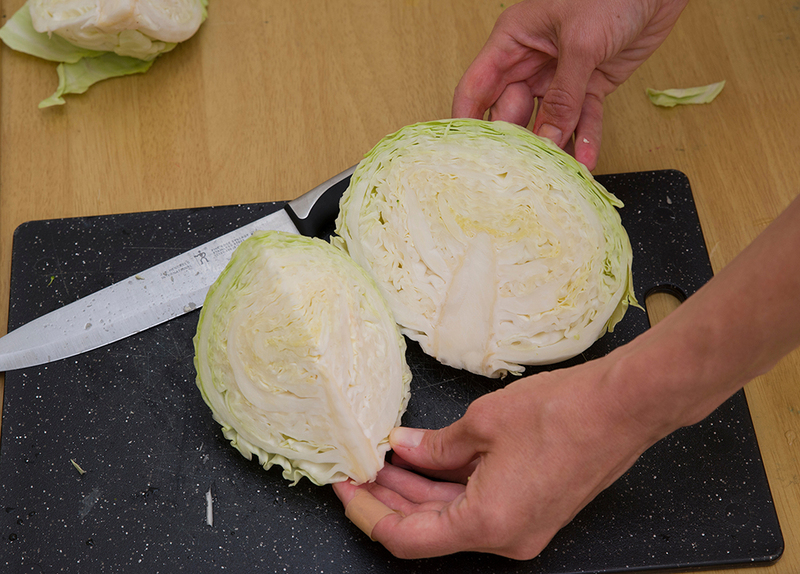 Most other fruits and vegetables can be cut lengthwise and crosswise. Tip: Make the cut as flat as possible to provide an even printing surface. 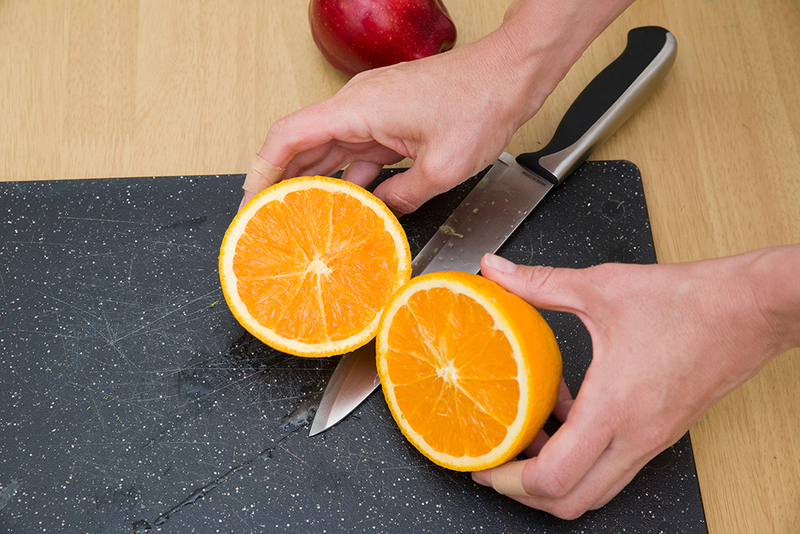 Provide a flat working surface, such as a kitchen countertop or patio table. 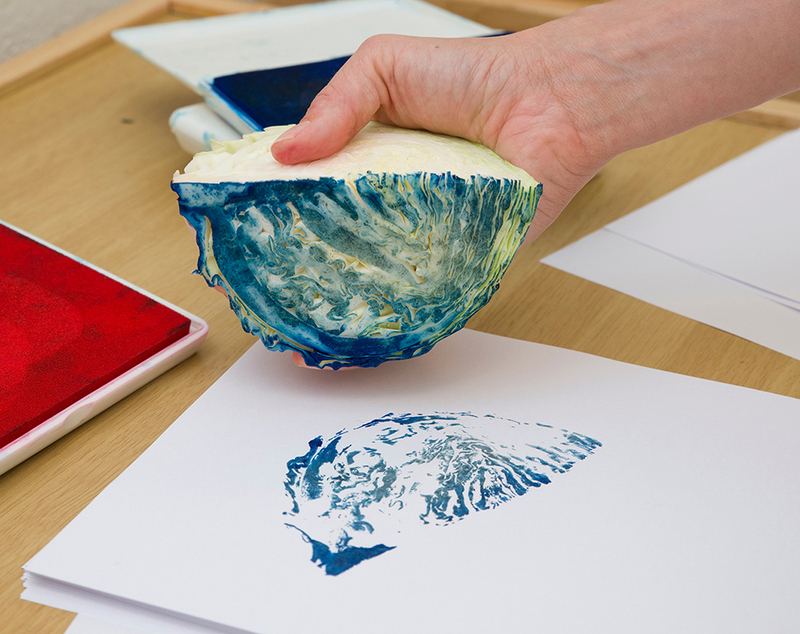 Put out the fruit and vegetable stamps, paper, and nontoxic and water-based stamp pads or plastic plates with a thin layer of tempera paint. 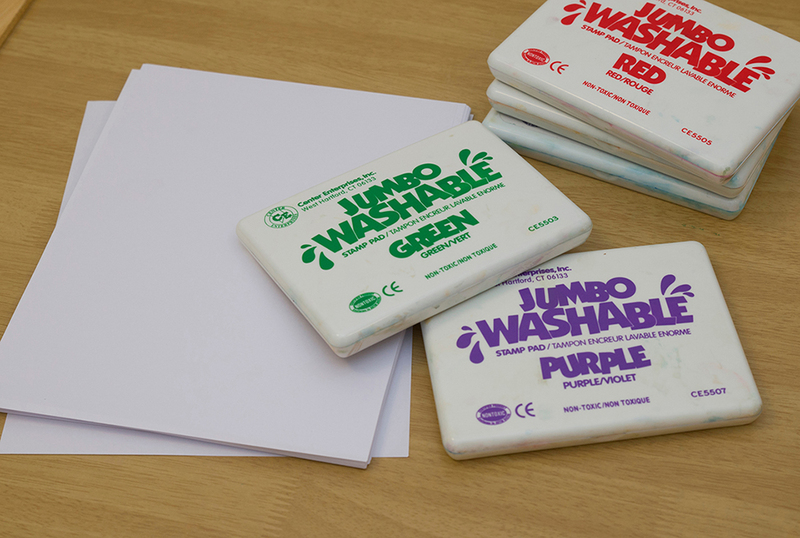 Press the stamp into the stamp pad or paint, then firmly press the stamp onto the paper. 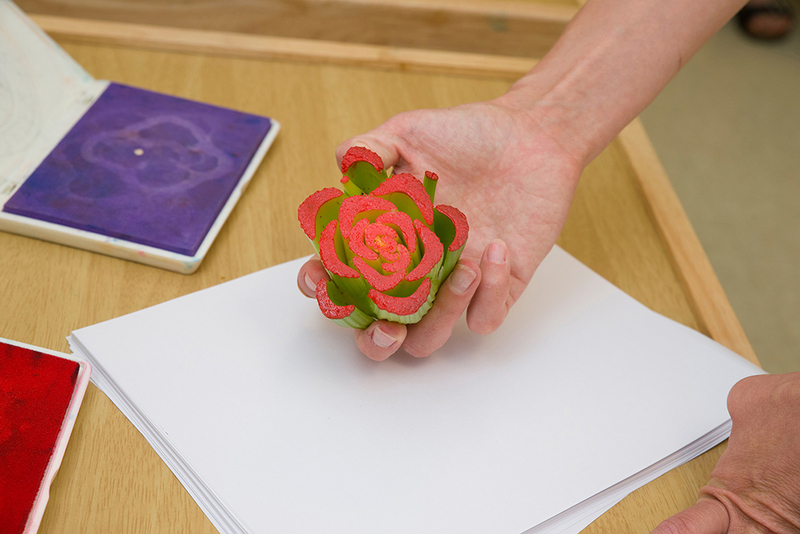 Younger children may focus more on the tactile experience of stamping, while older children may create a more cohesive design. Tip: It may take a few attempts before the stamp is appropriately saturated. Tip: Young children love to mix colors together, so put out one color at a time if you don’t want this to happen. After your prints dry, grab your crayons and markers to embellish them. 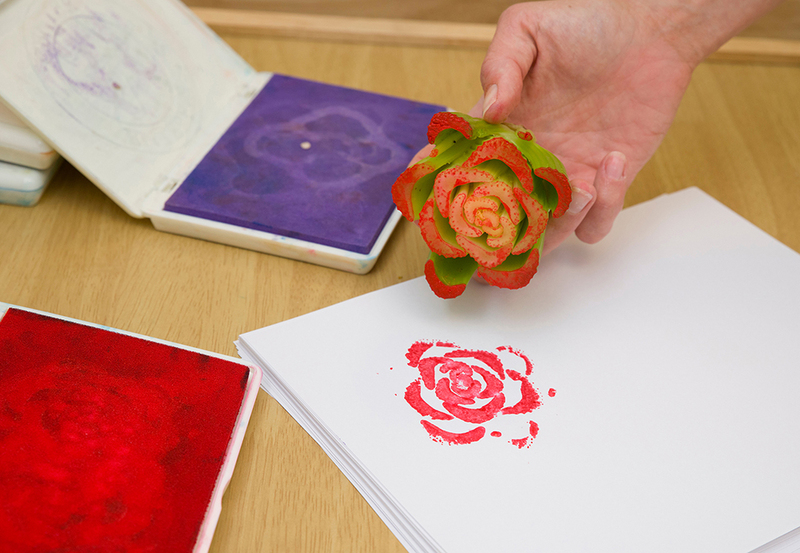 You can even use fruit and vegetable printing to make your own wrapping paper and cards. 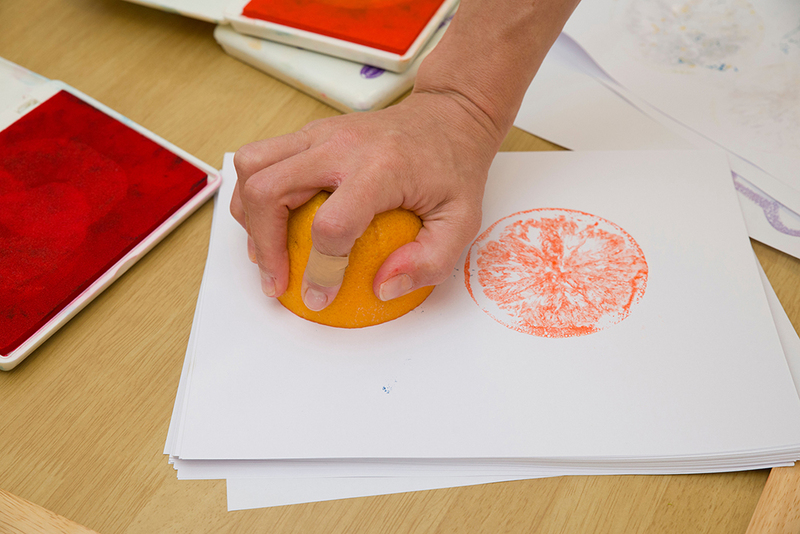 Make fruit and veggie prints at Grunsfeld Children’s Growing Garden Drop-in Activities from July 20 to 26. For details about other drop-in activities and more fun for the family, go to chicagobotanic.org/forfamilies.